✜God in My Heart✜ Sheshine focus on original design,providing elegance costume jewelry to make women more charming,expressing to the world through a personal way.Every Jewel is part of artistic expression,has its own design soul and story. 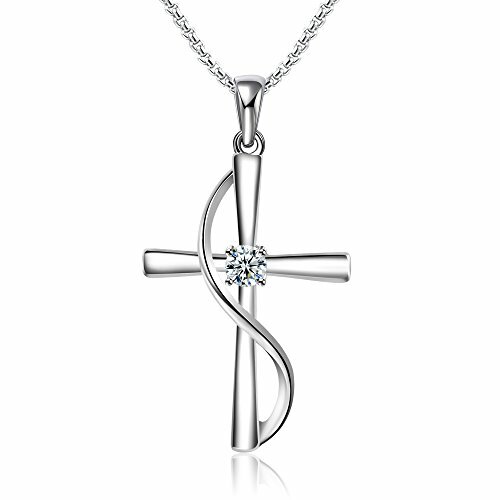 ✜Specification✜ Sheshine Cross Pendant Necklace is made of environmentally friendly material,Length-1.02inch,Width-0.6inch and Chain Length:17.7+2.4inch(Extend chain). ✜Ideal Gift✜ Comes with the charm gift box,perfect for any gift giving occasion, great Christmas gifts,Thanksgiving gifts,graduation gift,birthday gift,congratulation gift,vocation gifts,mother day gift,anniversary gift or business gift for men,boys,girls,teens,women,mother,wife,girlfriend,business partner. ✜After-Sale Service✜ In order to guarantee your satisfaction, if your shopping experience was less than perfect in any way, please contact us immediately that we can make it right for you.